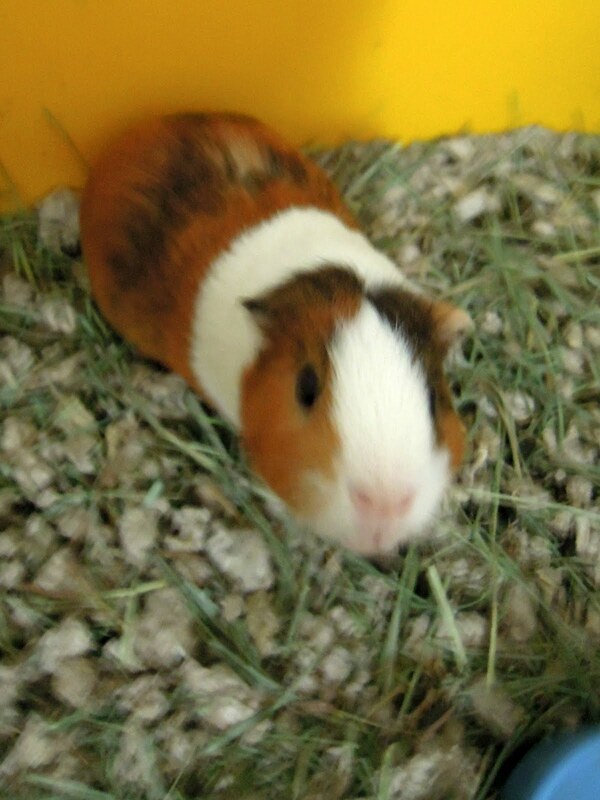 At the end of January I noticed that one of my guinea pigs, Crème Puff, had a very watery right eye. A few days passed, and his watery eye only seemed more and more watery. He didn’t seem particularly bothered, but it looked pretty awful. We made him a vet appointment and learned–surprise, surprise–that our chronically-ill pet is sick yet again. He was sitting in a really cute pose, but when I moved in he decided to try and eat the camera. He has another URI (upper respiratory infection) and internal fluid build up. He also has heart disease. He currently has several medications prescribed–an antibiotic, a probiotic, an ACE inhibitor, a loop diuretic, eyedrops, and topical cream. His right eye is no longer watery and he looks very good, but unfortunately he doesn’t really seem to be getting all that much better. His breathing sounds terrible and the internal fluid has lessened but not disappeared. None of his behaviors have changed; he still eats well, torments the other guinea pig, and wheeks for attention and food. He’s been sick so many times that I fear he is resistant to the antibiotics. Since the end of January I’ve been making very regular trips to the vet. What should have been handled in one or two appointments is stretching on further than I would like it. I’ll be heading there again on Friday for yet another follow-up, and I wish I could be surer that there would be good news rather than more medications and more check ups yet to come.